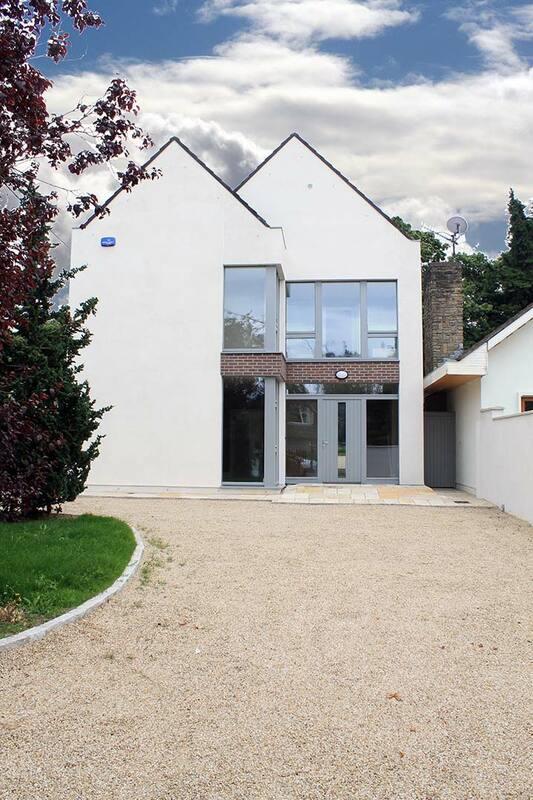 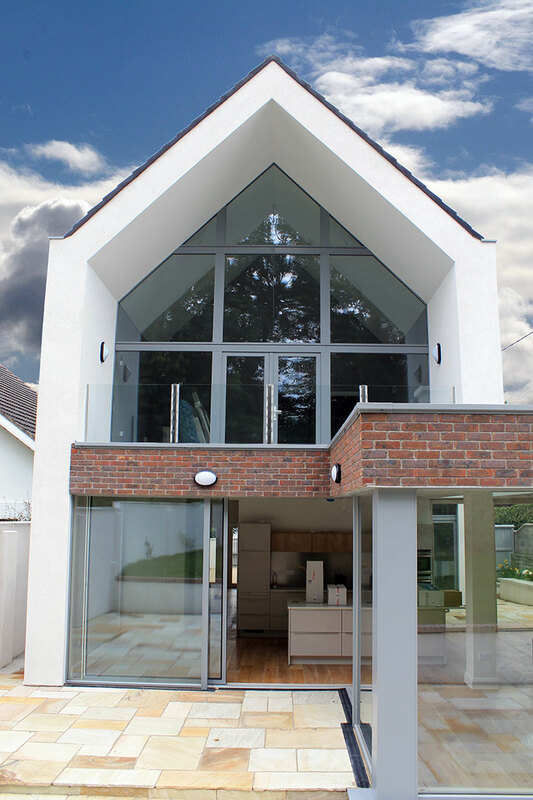 Our main goal was to design a house that sits comfortably on its relatively narrow site while still creating generous, light filled spaces throughout. 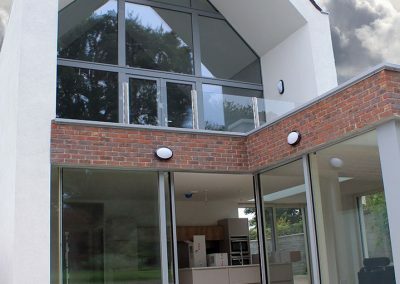 The open-plan living area flows effortlessly out to the south-facing, rear garden through two full height sliders, while an east-facing courtyard creates another external space that is flooded with light from early morning. 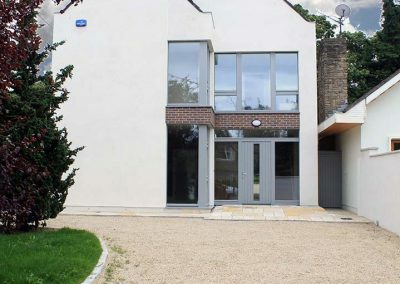 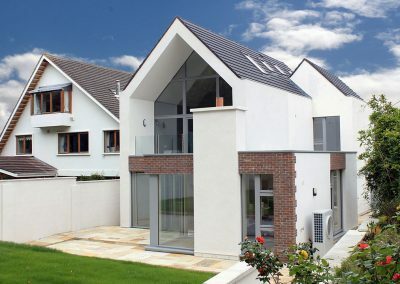 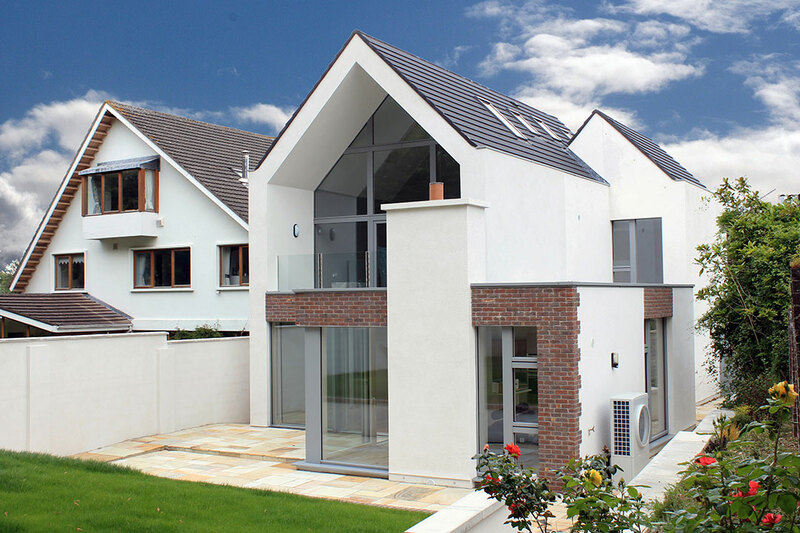 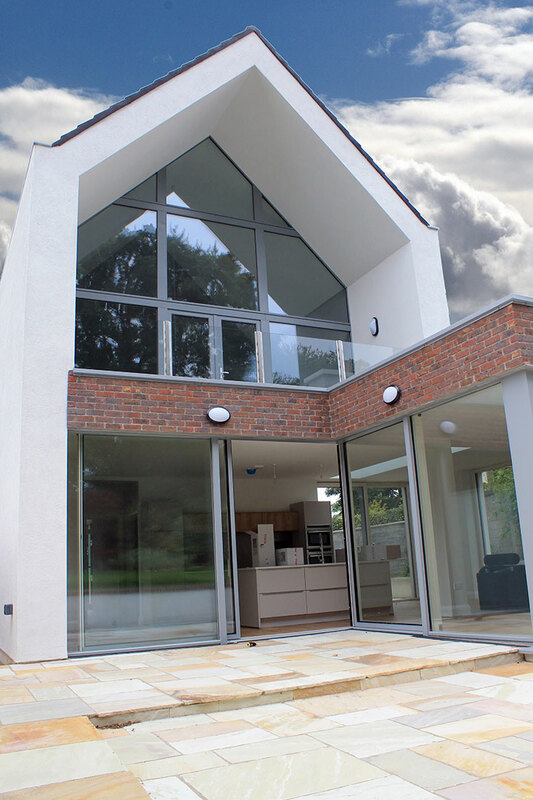 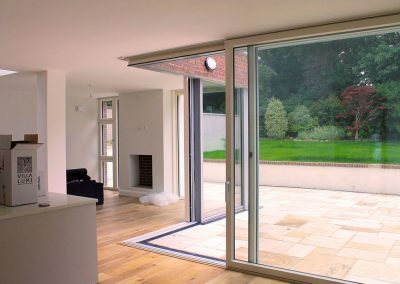 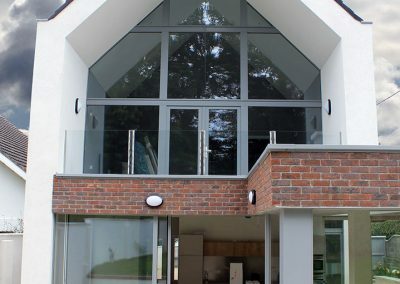 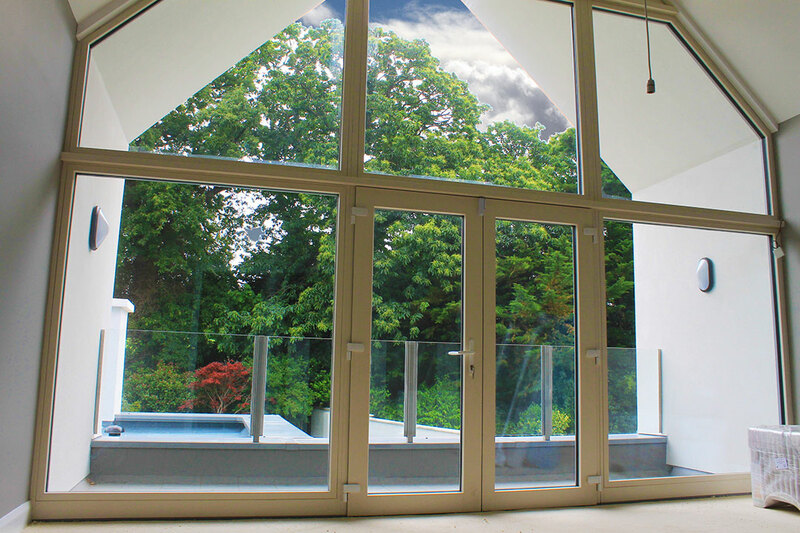 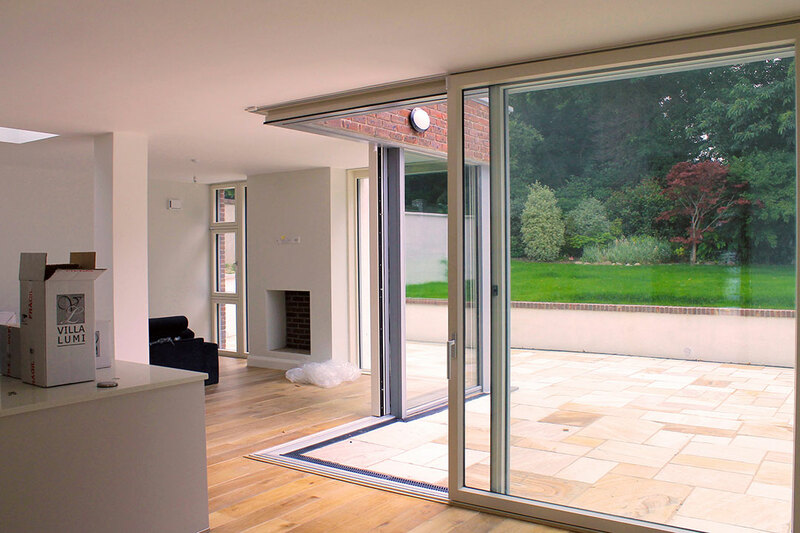 Flush thresholds to the front, side and rear create a seamless connection between the internal and external spaces, while also affording disabled friendly access. 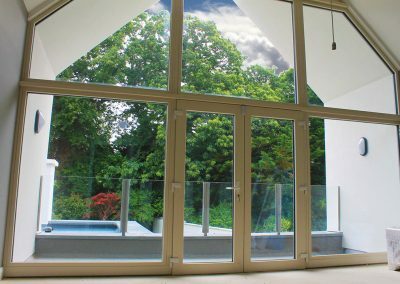 The most eye-catching feature of this house is the huge, south-facing master bedroom with beautiful vaulted ceilings and full height glazing which opens out onto a large balcony overlooking the rear garden.